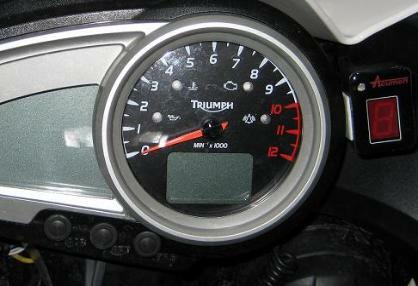 I used to have a gear indicator on my old GT500 and GT380 Suzuki's. With 6 gears on the Tiger 955i it is easy to cruise for miles in 5th instead of 6th. are good but there are no pictures. To fit you need to remove the Front Fairing and the Tank. connect the 2 wires for 12v Live and the Earth at the cockpit end. 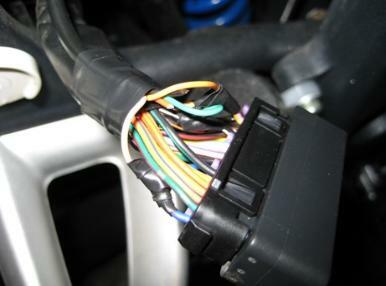 TIP: I found it really hard to identify the Pink/Yellow wire. I also had a Yellow/Pink and a Yellow/Red to confuse me. You need good daylight, a magnifying glass and confidence to make the right choice.